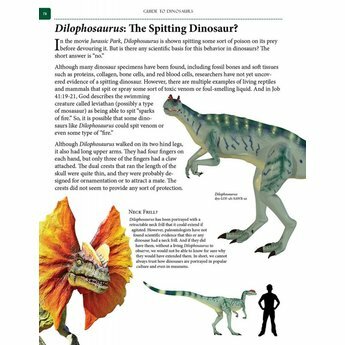 The perfect gift for dinosaur fans of all ages - the most family-friendly biblical dinosaur book ever created. 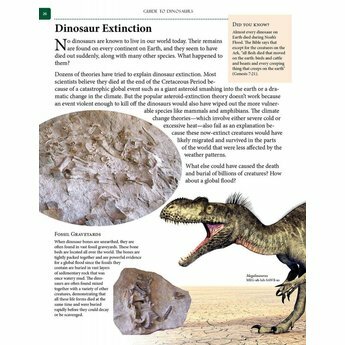 Learn all about the history of dinosaur fossils, different dinosaur types, and mankind's interaction with 'dragons' after the Flood. 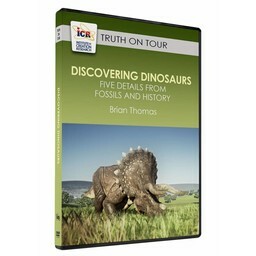 We recently received a copy of this book and are very impressed with the quality. 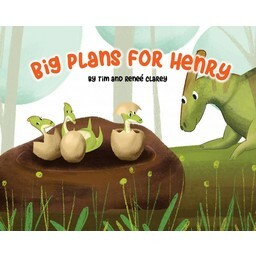 Hardcover, full color, and excellent illustrations make this book a must-have for families. 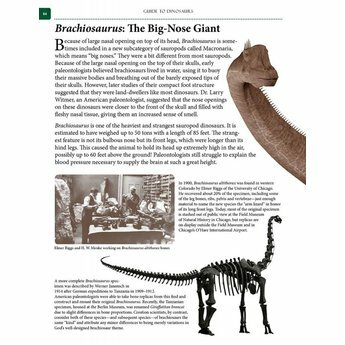 It serves as an excellent teaching tool for this subject, and is a great addition to any family library! 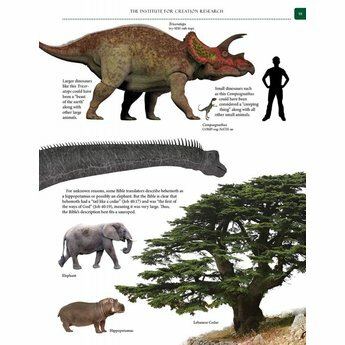 How do the dinosaurs fit in with the Ice Age? Were they on the Ark? What happened to them? 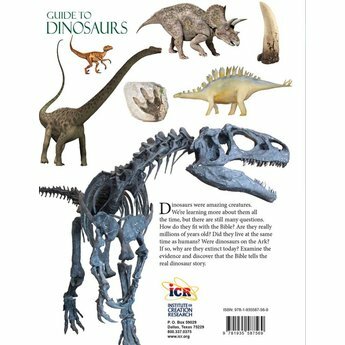 This book is very inviting for the young and old, teaching about dinosaurs from the Biblical viewpoint and 6 day creation. 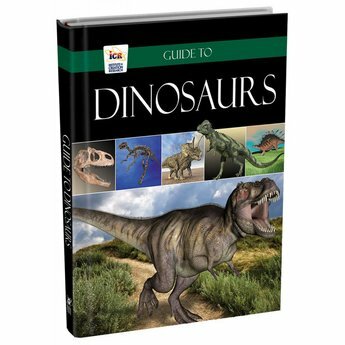 Finally we have a book that we love to read to our grandkids and can share it with everyone interested in dinosaurs and the Bible. 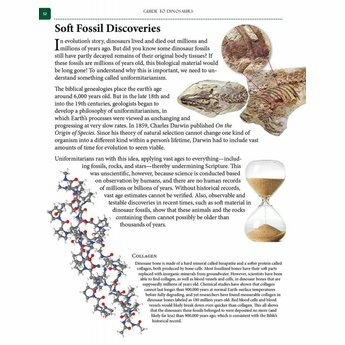 Most books start off by saying millions of years ago, so then you have to think what else is not true?. 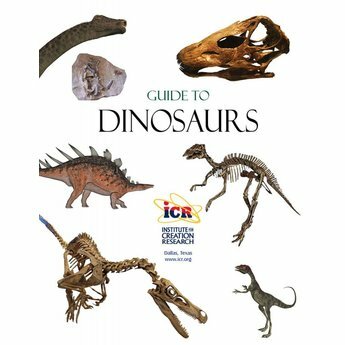 We loved this easy to read, but packed with information book so much that we want to carry it in our little gift shop in our Inn along with our stuffed dinosaurs. 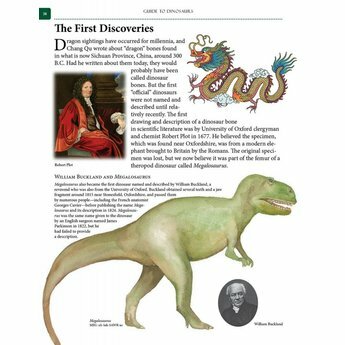 Guide to Dinosaurs is an awesome and graphic publication on the Biblical view of dinosaurs and other great reptiles. 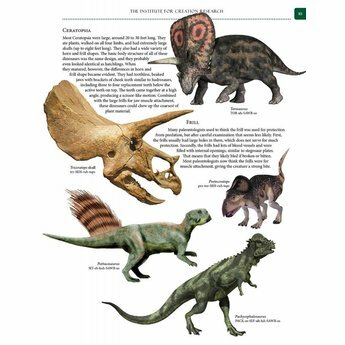 As I child, I loved dinosaurs, and read hundreds of books about them, but was upset that many dinosaur books spread myths about millions of years and evolution. ICR is a great ministry defending Gods Word and Scripture, and I am grateful that they have published this detailed and comprehensive book. 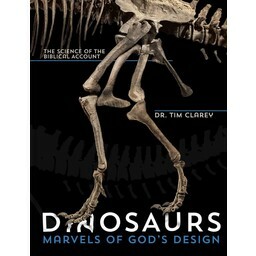 An excellent gift for children and anyone who desires a basic creationist perspective on these terrible lizards. 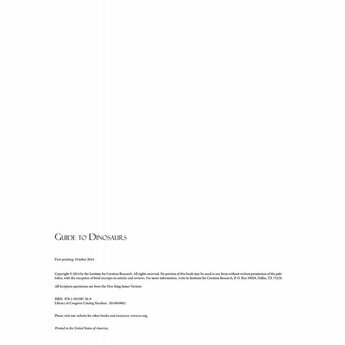 State-of-the-art illustrations and content.